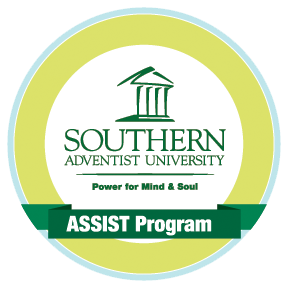 Shenandoah Valley Academy (SVA), in partnership with Southern Adventist University’s ASSIST grant, has the opportunity to offer unique tuition assistance to SVA students. Through this service-oriented grant, participating students are paired with senior adults in the New Market and surrounding community in a mutually beneficial way. Students in the ASSIST grant program provide help to senior citizens by performing light housekeeping and/or yard work. They also have fun with their senior friends through activities such as visiting, reading, and playing games. As the young people build generational bridges, they also benefit from the wisdom and mentorship of the older adults. In the process, their time together helps finance the student’s Christian education. If you would like more information click the ASSIST logo above, or contact SVA ASSIST Director Susan (Dickson) Finlaw '65 at susan.finlaw@sva-va.org.